29-year-old Katrina Gumabao is about to dominate Australia’s runway. 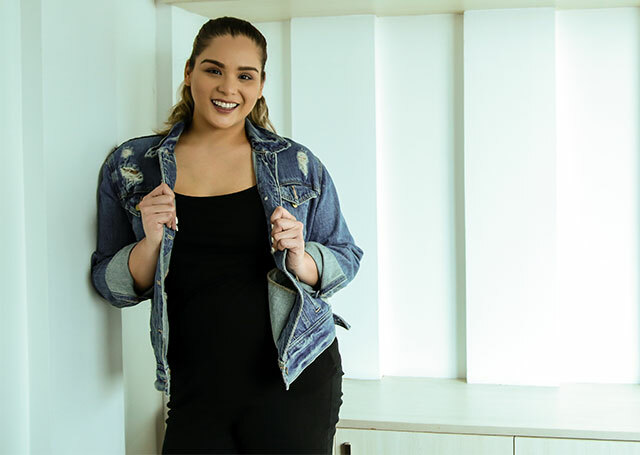 Katrina Gumabao is a makeup artist for NARS Philippines, a talent manager, and a plus-size model on the side, but it’s that side hustle that’s about to put her on the map! 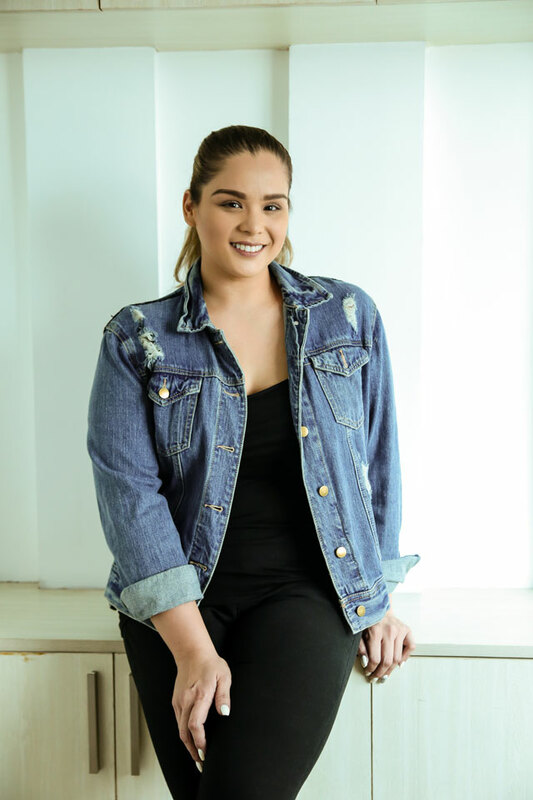 This year, Melbourne Fashion Week is having its first plus-size fashion show, and Kat is the only Pinay walking the runway. How did you find out about Melbourne Fashion Week Plus? I follow a lot of agencies abroad and while I was going through my Instagram feed, I saw Melbourne Fashion Week’s (MFW) announcement regarding their first plus-size category for runway. New York did it last year. Auditions and applications were open to people in the area. And I thought, “I have nothing to lose.” I emailed them, asking if I could still apply even though I’m not from Australia, and they said yes! The catch is sagot ko lahat [ng expenses.] They asked for a few photos and a video of me walking. After a week, I found out that I got in! The thing is, I’m the type of person who plans all of her trips, unless it’s for work. Ayoko ng biglaan. I had a trip to Sydney planned na for my birthday. I told myself, if I really need to, I’ll skip the Sydney trip and use that money for MFW+ because it’s a foot in the door in the international modeling scene. It’s a big deal. Plus, my favorite agency, MiLK Modeling Management, will be there! They represent women who have fuller figures so giving up my Sydney trip is a small price to pay. Pero kapalan ng mukha, I texted all my relatives to ask if they can help me financially. Because, as I’ve said, sagot ko dapat lahat. I have family in Sydney, but not in Melbourne so I have a lot to figure out, like where I’ll be staying! But my family has been so sweet and supportive. How do you feel about being the only plus-size Pinay there? It’s not just for me; it’s for all plus-size models here in the Philippines. There are women here who are more than a size 10 or 12, who go from a 14 to a 22 na hindi lang natin nakikita. Maybe they’re too afraid to show themselves, because we’re always told that skinny is beautiful, that white is beautiful, that blonde is beautiful. I want to show people that whatever size you are, maganda ka! It’s not a matter of looks; it’s a matter of heart. I want bigger people to have more confidence and to know that they should be treated better. Unfortunately, the only way to break the mold here in the Philippines is to do it abroad. Sobrang wala, eh. The only time we accept things as normal is if it’s done internationally. The U.S. has been doing plus-size modeling for 2 to 3 years na, and we haven’t picked up. We always believe that we have no market. For those who may be confused, what does “plus-size” really mean? Plus-size is not just about being fat. I know that’s what people think whenever they hear the term “plus-size.” Mataba agad. Plus-size simply means that the regular fit doesn’t fit you—you might have bigger hips or you’re a few inches taller than the average. Look at Ashley Graham, we’re the same height, her hips are bigger than mine, but she wears a size smaller than me. The Filipina version of plus-size is always wider, not taller. It’s hard for me to find jeans that fit perfectly here. Thank god for Old Navy! What are your thoughts on body shaming? Personally, I’m not affected by those comments anymore, but there are people who are kasi. And it’s not just fat people who get shamed. Thin people always hear, “Ay! Ang buto-buto mo na!” I’m an advocate of body love. Even though it means loving your body the way it is, it also means loving your body enough to treat it right, to feed it right, to do the right things to it. I don’t condone unhealthy habits, but there ARE people who live healthy lifestyles who are just built bigger than normal. Danah, Stacy, Rona—we’ve been trying to change how people view fat. Everyone has fat. There’s no person without body fat. If you go below seven percent body fat, that’s not even healthy anymore. Body-builders reach the point on the day of their competition, but right after, they eat because they need to. I’ve lost fifty pounds since January. I work out every single day. I eat healthy, but I also indulge in chocolates once in a while. It’s not because I want to be skinny. I want to be strong. I want to be able to run and walk and not have pain in my knees and ankles. I used to smoke, but in 2012, I held a stick and said, “Last ko na ‘to.” I quit. It’s the same strategy I used for losing weight. I’ve gone through all the diet techniques: yo-yo dieting, Atkins, South Beach, low-carb, low-protein, high-fiber. NO LASA AT ALL! Ayaw ko na. Any major decision in my life didn’t need to be influenced by someone or something. Only me. I want to get married someday. I want to be healthy enough to have kids. I want my bones and my body to be strong enough to carry a baby for nine months. I want to be strong enough to build a family. If you’re in Melbourne, watch Katrina Gumabao strut her stuff on August 25 to 28 at Melbourne Fashion Week Plus. And if you want to know more about her journey, you can check out Katrina’s Instagram page.